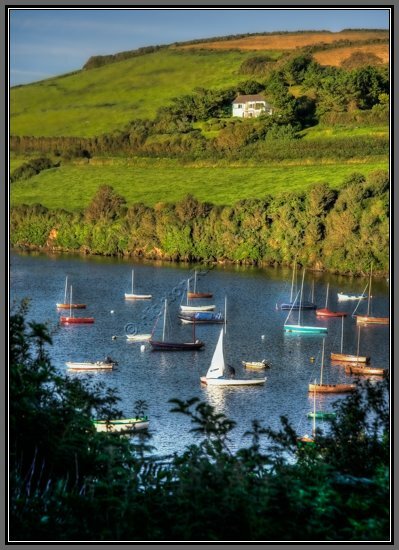 A tranquil scene showing a view of a quiet yacht and boat mooring on the River Avon at Bantham. A house on one of the hills overlooks the scene, basking in the last golden light of the setting sun. On the Devon coast just a short distance east of Plymouth, Bantham is a delightful coastal village, entranceway to one of Devon's finest beaches. Bantham 2007.